I'm not sure I'd really call this a salad, but that is what Terry Hope Romero calls it in her new book, Salad Samurai . 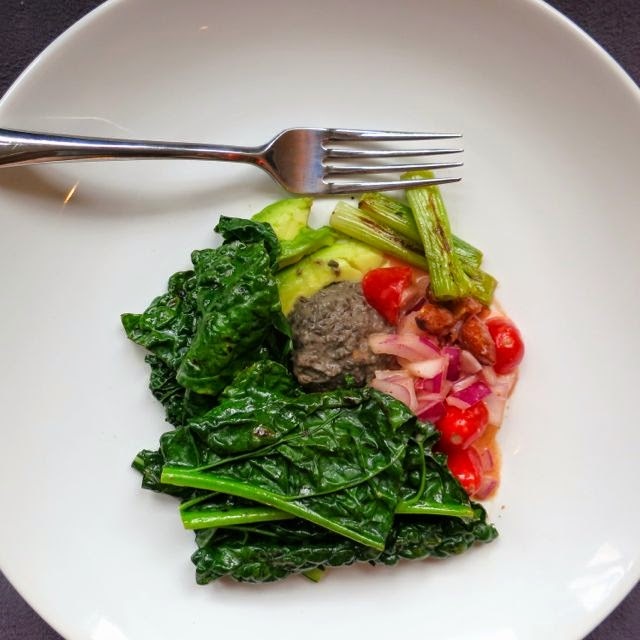 She refers to it as the Grilled Kale Salad with Spicy Lentils, but what it really turned out being was an incredible gourmet vegan meal. 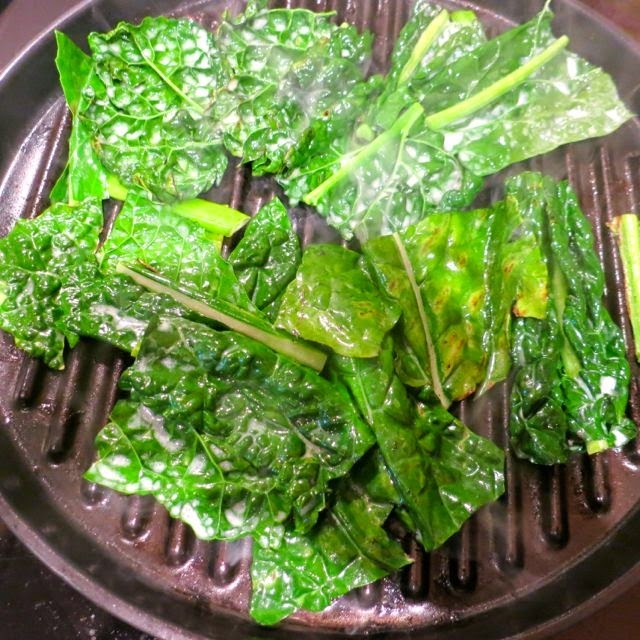 I never really thought to grill kale before, but it turns out wonderfully! 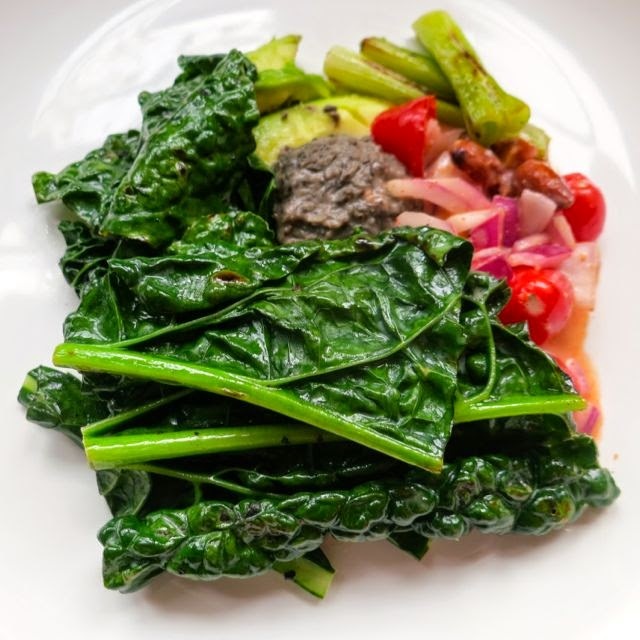 Seared kale and scallions marinated in a coconut milk and lime juice dressing served with tomatoes, onions, and almonds in a similar dressing with spicy sriracha and lentils. The mix is akin to a plate at an upscale restaurant. 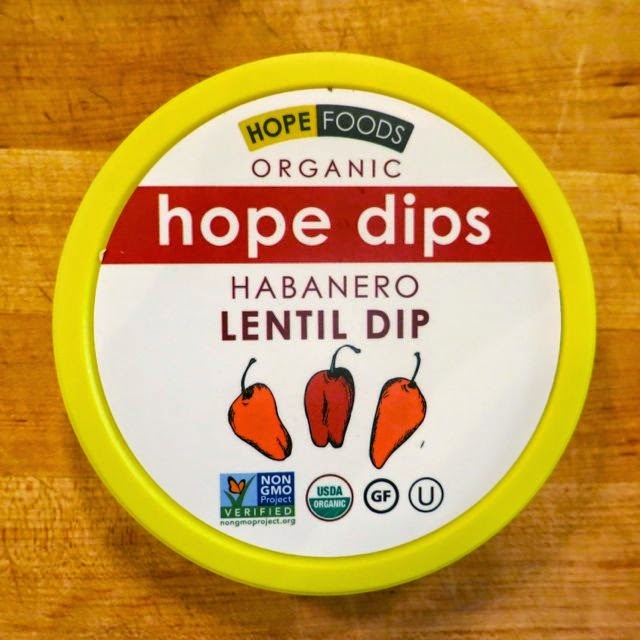 Instead of fresh lentils, I used Hope Foods' Habanero Lentil Dip just because I had it and needed to use it. It is absolutely delicious -- made with lentils, onion, garlic, lime juice, and habanero powder. This versatile dip could be served as a dip or used in a salad like this as an accompaniment. I also used this as an opportunity to open my new bottle of Organicville Sriracha . Why do we need another sriracha? Well, first off, it's made with many organic ingredients. They use high quality cayenne peppers and red jalapenos with garlic to create a much fresher tasting sriracha than the well-known one made by Huy Fong Foods. And they don't use potassium sorbate or sodium bisulphate as preservatives either. So it tastes fresh and I think it tastes even better than the original. Serve this dish to your friends at a dinner party and see if they aren't impressed. 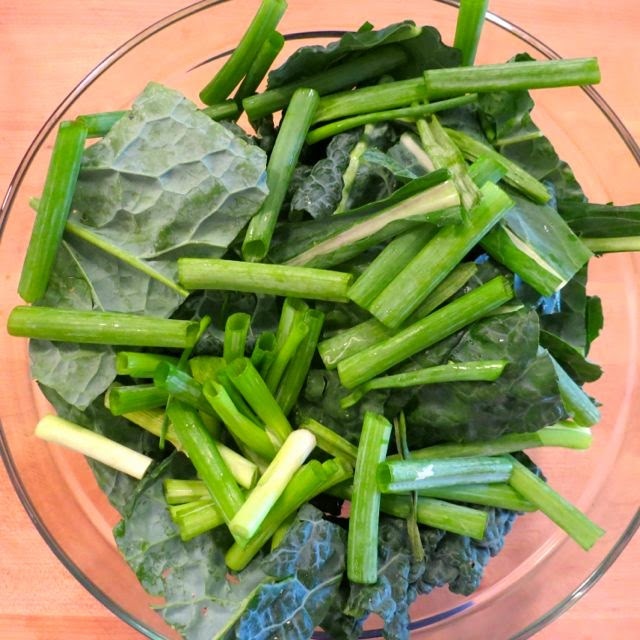 Trim away the tough bottom inch from each stem of kale and discard. Slice the stems into 3-inch long sections. Transfer to a bowl and add the scallions. Pour in the coconut milk and lime juice, add a pinch of salt, and massage the kale and scallions just enough to coat them with a dressing. Preheat a cast-iron grill pan over high heat. In the bowl with the leftover coconut lime dressing, whisk in the vinegar and sriracha. Add the lentils, onion, tomatoes, and almonds and toss to coat with the dressing. Mound the lentil mixture in individual serving dishes, arrange the kale and scallions on top, and serve with lime wedges and sliced avocado.